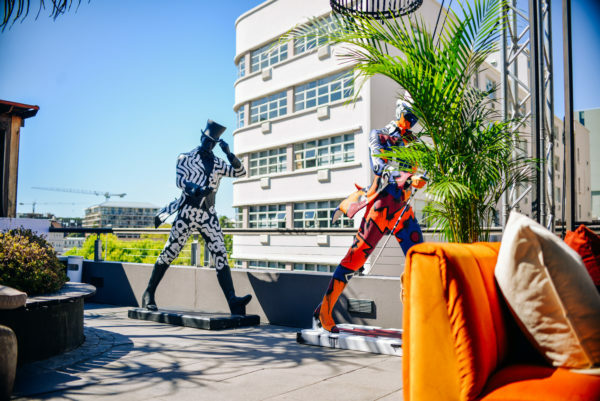 Situated on a rooftop overlooking the CBD in the heart of Cape Town sits the Code Black pop-up bar. 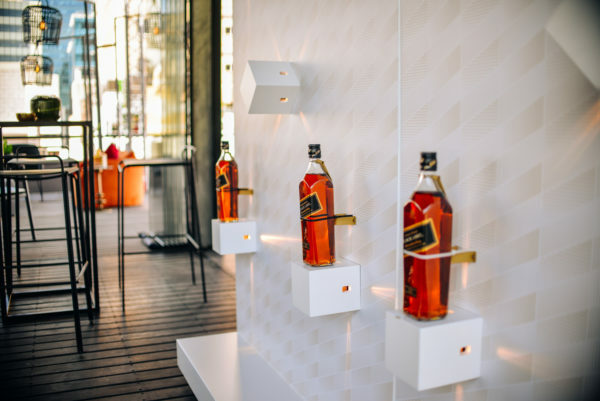 An evening of glamour, sophistication and extravagance is sure to be had as world-renowned whisky brand, Johnnie Walker, leads guests on an interactive and immersive experience. Upon arrival, a hostess presents you with a ticket to the exclusive Room 12, a private tasting room showcasing Johnnie Walker Black Label. Enter the elevator, select the button for the third floor and get ready for a spectacular evening. When you reach the floor and step through the lift doors, you can’t help but feel as if you’re atop a New York City building. The exquisite décor and attention to detail in each corner of the rooftop immediately captures your attention. As you take in the scene, your ears pick up the eclectic melodies flowing from the DJ booth. No time to dance yet as you need to find Room 12. As you go in, your curiostity guides you past the warm golden glow of the whisky bar and toward the end of the rooftop. Here, you are greeted by another hostess who takes your name and number in order to secure your seat at the private tasting. While you wait for your slot to begin, make your way back to the golden glow and order one of the flavourful, aromatic whisky cocktails. For the no-fuss whisky drinker, The Original Traveller is for you. For those looking for something exciting, ’A Taste of Summer’ will satisfy your palate. If you are feeling like something nibbly, there is a selection of mouthwatering tapas available. The mushroom arancini is a must try. Find a comfortable seat on one of the high-top tables, which gives you the opportunity to take in the relaxed and vibrant atmosphere. 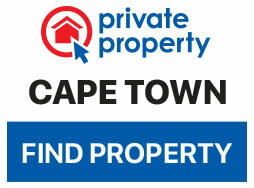 Keep an eye on the time though, you don’t want to miss your Room 12 experience. The tastings are 30 minutes long and leave you with a wealth of knowledge about Johnnie Walker’s dynamic Black Label whisky. Pairings incorporate various fruits, flavours, and smells that this particular whisky can present. So “Keep Walking” by registering early for this popular, one-of-a-kind pop-up experience; it is not to be missed. Space is limited for each tasting. 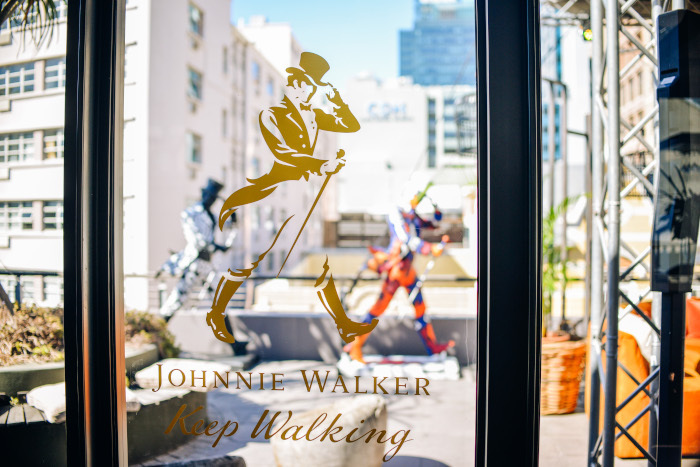 Registration can be done through the Johnnie Walker booking portal www.jwcodeblack.co.za.